There is no end in sight for the long secular decline in the newspaper and magazine publishing businesses, judging by the latest figures from the U.S. Census Bureau, which track total revenues for these media as part of its quarterly estimates for U.S. service industries. U.S. magazine publishers saw total revenues fall from $6.66 billion to $6.36 billion, for a decline of 4.5% over the same period, again across both ads and circ. The first-quarter declines come atop similar percentage declines in total annual revenues last year, also per the Census. Newspaper publishers saw total revenues fall 3.8% from $28.1 billion in 2014 to $27 billion in 2015, while magazine publishing revenues fell 3.7% from $29.4 billion in 2014 to $28.3 billion in 2015. The Newspaper Association of America and the Publishers Information Bureau, which used to report revenue figures for their respective industries, both stopped publicizing this data in recent years. It’s hard to blame them. According to separate figures from Pew Research, U.S. newspaper publishers’ digital ad revenues also decreased 2% last year. For comparison’s sake, total Internet revenues grew 20.4% to $59.6 billion, according to the Interactive Advertising Bureau. So people are advertising on the internet, they just aren’t choosing to do it on newspaper sites. This long-term decline has been manifested in seemingly endless rounds of layoffs. If newspapers still employ editors, it is often not apparent. Standards have slipped badly and the decline continues apace. I think the word they are looking for is “grisly.” This is the sort of mistake an intelligent high school student wouldn’t make, but those are the sorts of people who don’t seem to be going to work for outfits like CBS News anymore. It is also the kind of mistake that editors used to catch, back in the days when there were editors. 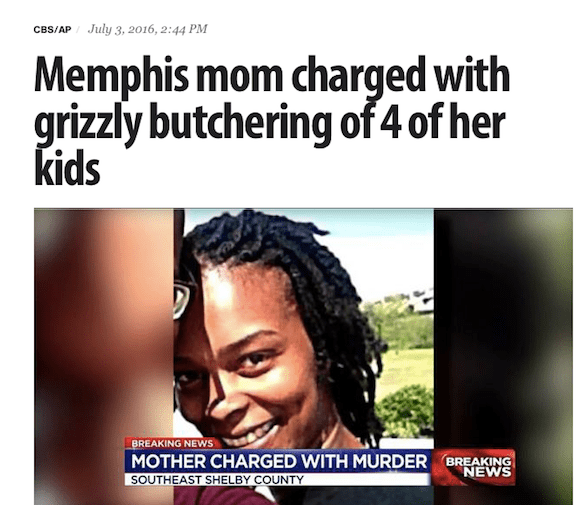 I suppose “grizzly” might have been suggested subliminally, or even be a deliberate pun on, the Memphis Grizzlies NBA team. But given the tragic nature of the story, that would be even worse. We see the decline of the newspaper industry on a daily basis, although not usually in ways so conducive to black humor.